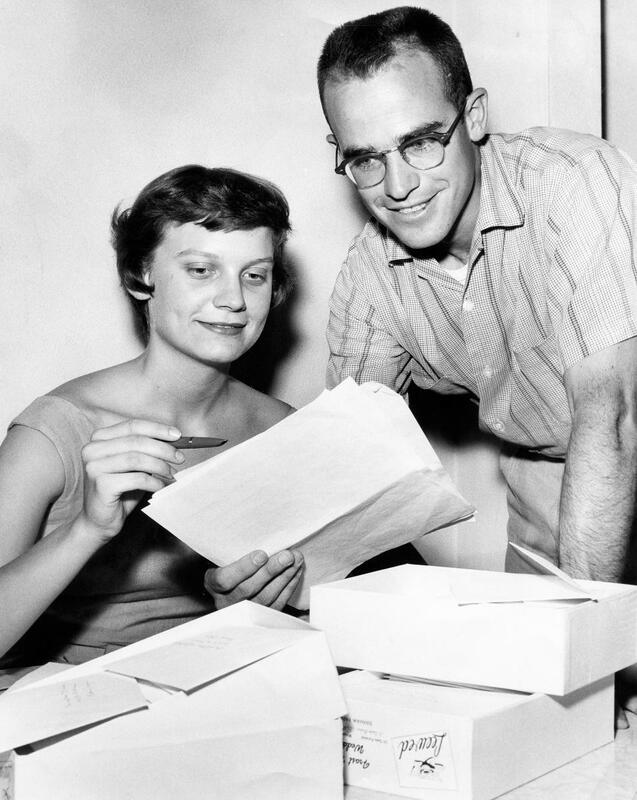 Hugh and Jan Harelson’s involvement with the UA School of Journalism has impacted thousands of students and the faculty and staff who work with them. When the department was targeted for closure in 1994, Hugh, a 1952 alumnus, became co-chair of the Save Journalism Committee, which led the campaign to keep the department open. When the committee became the Journalism Advisory Council, he remained a leader. He was news editor of the Arizona Republic, news director at KTAR-TV in Phoenix and director of UA relations and information services, before being named publisher of Arizona Highways in 1982, where he worked until retiring in 1992. Before his death from cancer in 1998, at age 67, he asked his spouse to help the department with instructional technology. Jan raised the money to construct a cutting-edge computer laboratory, the Hugh Harelson Reporting Lab, and started an endowment to support it. The interactive lab opened in Spring 2000, and was the incubator for a new curriculum to help students confront the 21st Century challenges presented by the revolution in communication technology. More than 3,000 students have taken classes in the lab – including the Harelsons’ granddaughter, Sara, a UA journalism major. It was renamed the Hugh and Jan Harelson Reporting Lab after Jan, 78, died in 2015 following complications from heart surgery. Jan, who had a long career in education, also established the annual Harelson Award for Teaching Excellence to honor faculty. She played important roles in other initiatives that raised the journalism unit’s stature, including reaccreditation reviews and the successful effort to have the Board of Regents change the department to a school in 2008. She became a member and chair of the school’s Advisory Council and focused on fundraising to support instruction when state budget cuts were eroding programs. Son Matt Harelson and his spouse, Julie, started a second endowment to help with operating costs.